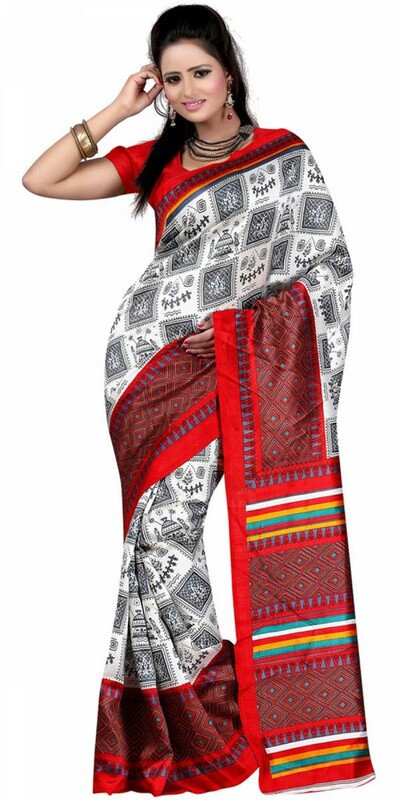 You are here - Home/Women/Clothing/Sarees/Fancy White And Red Silk Printed Saree With Blouse. Fancy White And Red Silk Printed Saree With Blouse. Fancy White And Red Silk Printed Saree With Blouse.It has printed work on it which gives a beautified look to you,Silk,printed designing work on it with half sleeves blouse.